Guest Bio: Dr. Mardia Stone is an International Medical and Public Health Expert. 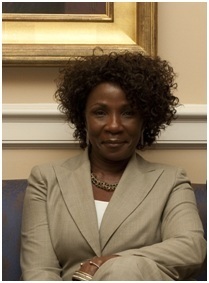 Currently, she is Senior Advisor to the Chester M. Pierce, MD, Division of Global Psychiatry at Massachusetts General Hospital (MGH) /Harvard Medical School and Senior Advisor to the Liberia Center of Excellence in Mental Health and Psychiatry, working extensively on mental health issues, coordinating mental health research and training activities for MGH Psychiatry residents in Liberia. Dr. Mardia Stone shares what she learned by talking with Ebola survivors. Also discussed is the situation in West Point when a quarantine was enacted. Neal: Hello and welcome to Health Professional Radio. Thank you so much for listening with us today. I’m your host, Neal Howard. Our guest in studio today is Dr. Mardia Stone, an international medical and public health expert. She’s a Senior Adviser at the Chester M Pierce MD Division of Global Psychiatry at Massachusetts General Hospital, Harvard Medical School and Senior Adviser to the Liberia Center of Excellence in Mental Health and Psychiatry – working extensively on mental health issues. Most recently though, she’s been to West Africa, Liberia as the Senior Adviser to the Incident Manager of Liberia’s response to the Ebola epidemic and she’s here today to talk with us a little bit about what she found when she interviewed some survivors. I think they are upwards of 70 or so survivors of the Ebola virus and she spoke with them and we’re gonna get some of her thoughts. How are you doing today Dr. Stone? Dr Mardia Stone: I’m doing fine, thank you. N: When you were acting as Senior Adviser to the Incident Manager in Liberia’s response to this Ebola epidemic in West Africa, there are survivors. I do believe from my understanding, apparently Ebola decides who is going to live and who is not. I hear that some of the antibodies and things of that nature of the survivors, is being used in order to attempt to treat others who have come down with this virus. I know that it is not a one hundred percent treatment in some people but there must be something significant in people who do survive. When you were interviewing these survivors, what was a common thread that you could identify? S: Well the common thread was that they recognized the symptoms of Ebola early and got themselves to a treatment center early so that they were able to receive supportive care for whatever their symptoms were. The care is individualized depending on what the symptoms are and most people started off with a very very high fever and a severe headache and then they would sweat profusely. And the headache was usually so excruciating and the sweat was so much that it will literally drench them. All of their clothing was drenched inside so they had to get to a treatment center pretty quickly. That was the common thread between all of the survivors I interviewed. They got to a treatment center very early and their supportive care began early. Because there is no cure for Ebola, so you have to start having the care as early as possible once you start manifesting symptoms. Now, the other thing that occurred was that in Liberia at that time, there was only one treatment center. So getting an ambulance to get you to the treatment center was a challenge for some of these people. They had to call so many different family members and friends and other people in the health profession to get to their houses to pick them up to get them to the treatment center. There may have been a delay in other places. People were still afraid to be identified as having Ebola and so there were still other people that were hiding and not showing up at the treatment center when they were manifesting symptoms early. N: It’s reminiscent of the AIDS outbreak many years ago when we were inundated with the use of condoms with all sorts of information and, as you’ve mentioned, the stigma people hiding because they know that they are infected. They want to avoid the stigma. Of course we’re familiar with the stigma that was attached to HIV/AIDS. What type of stigma, other than being infected with the deadly virus that has no cure, what cultural aspects do you think many people are dealing with when they decide to hide out? S: Well, number one, they don’t want anybody in their community to know that they or anyone in their household or family has the Ebola or symptoms of Ebola because they will be ostracized. Not only will the individual be ostracized but the entire family will be ostracized. In some areas, the entire community will be ostracized and so, you know, that’s one of the reason why people were hiding and burying their dead in secret at night. As for example, you’ve heard of West Point? S: West Point was quarantined because one of the community leaders reported to the government that there were individuals within that community who were hiding sick people in their household and who were actually burying people at sea at night because it’s a fishermen community. And so what they wanted, the community itself, requested the government to set up a holding center, where when they identified people within the community who were ill, they could remove them and put them there until the ambulance or the health professionals could come in and take them to a treatment center. But the agreement they made with the government was that this center will only accommodate residents from their community. And on the day that the government went to deliver the supplies to actually implement the holding at this particular center in West Point, the community members found that out of thirty six people, there were about seven or eight who have come from other parts of Liberia as far as two hours away and so they became infuriated and felt betrayed by the government. They kicked everybody out including the members of their own community that were in the center. And so people then took the opportunity to loot the center by removing the supplies that had recently been put there and so the government tells them that with this kind of outrage from the community, they had no recourse except to quarantine them because they were still hiding sick people on their household and they were still burying people at sea – a definite source of transmission. There were a number of people in the West Point community that had been diagnosed with Ebola. So in order to prevent the transmission, that community was quarantined for nine days. People were saying, “Well you’ve quarantined them for nine days, why don’t you just do the full twenty one days?” But it was a political decision because of the pressure from all kinds of different legislative bodies and political individuals in the society and so the quarantine was lifted after nine days instead of the full twenty one days. But you know, those are some of the measures that the government has taken. Some people say it’s a little too late in order to avert the transmission of Ebola. N: When we were talking about the survivors and you having spoken with them, we talked about the common thread that run through each case. That common thread being knowledge of symptoms and quick treatment at the treatment center. Exactly what type of treatment did these survivors receive? And shouldn’t others have survived with the same treatment had they gone early? S: Well it’s possible that if others have gone early, then they have survived, but then again, it depends on your own immune response. You mentioned earlier about these antibodies that are protecting people, and therefore blood transfusions are being given to individuals here from people who survived Ebola. Well, you have to have a very strong immune system. What I found with people between the ages of twenty five and fifty years old – with some of the people that I interviewed who had survived at Ebola – the first one was a twenty five year-old physician’s assistant, who contracted Ebola from a nurse that he had cared for in the emergency room. And so he was already a health professional who knew what the symptoms were and was able to call for help early to get an ambulance to pick him up early enough to take him to the treatment center. So I asked him, “Why do you think you survived?” He said number one, because of his age and secondly because he said that he was healthy enough prior to being ill, prior to contacting Ebola, and that he had a very strong immune response. So it depends on your immune constitution. That I think is the difference between who survived and who does not. Your immune response and whether or not you get the cure early enough. N: Now as we wrap up this segment, I’d like to ask you in your professional opinion, do you think that information such as the information that you just told my listeners and myself about the early detection, knowledge of the symptoms, quick response with the treatment, do you think that this information is being disseminated widely enough in the United States? And more importantly, widely enough in Africa today? S: Well the information is definitely being disseminated widely enough in the United States. It’s a different situation here. You are not going to have an epidemic in the United States because you have the health infrastructure in place. You have the professionals here. You have the infectious disease specialists here. You have the isolation units here. You have the equipment here. You have everything that it takes to care for somebody who has an infectious disease. That is not the case in Liberia, or in West Africa where the health infrastructure is poor and in some areas, completely collapsed as it is in Liberia after a major epidemic of this magnitude occurred. The freedom from the CDC has given you a lot of information. You are getting a lot of information every day, every news broadcast on the radio, on the television. You’re getting all of this information and you have other sources. The hospitals are responding in all the major cities. Now you have the screening process at the airports so I think that you’re getting the information. It’s a matter of people not panicking. It’s a matter of people taking the time to educate themselves to become aware of what Ebola is, what the symptoms are, how you contract it, how it is transmitted. And I think that people would take the time to listen and to educate themselves, you will not have this kind of sensational journalism and the panic that is being experienced here in this country at this time. N: You’ve been listening to Health Professional Radio. I’m your host, Neal Howard. We’ve been in studio talking with Dr. Mardia Stone who recently returned from West Africa as Senior Adviser to the Incident Manager in the response to Liberia’s Ebola epidemic. And we’ve talking about some of the ways that becoming aware and not just hearing the information that is widely spread about this virus but also, taking action to protect yourself, to protect those that you love, those that you see around you, and quick response is key in your chances of survival should you contract this deadly virus. It’s been great having you here with us today Dr. Stone. S: I’m really happy to be here and to share my experience with you. N: Thank you so much. Audio of this program is available at hpr.fm and also at healthprofessionalradio.com.au and don’t forget to subscribe to our podcast on iTunes.